Home /Say What Now? 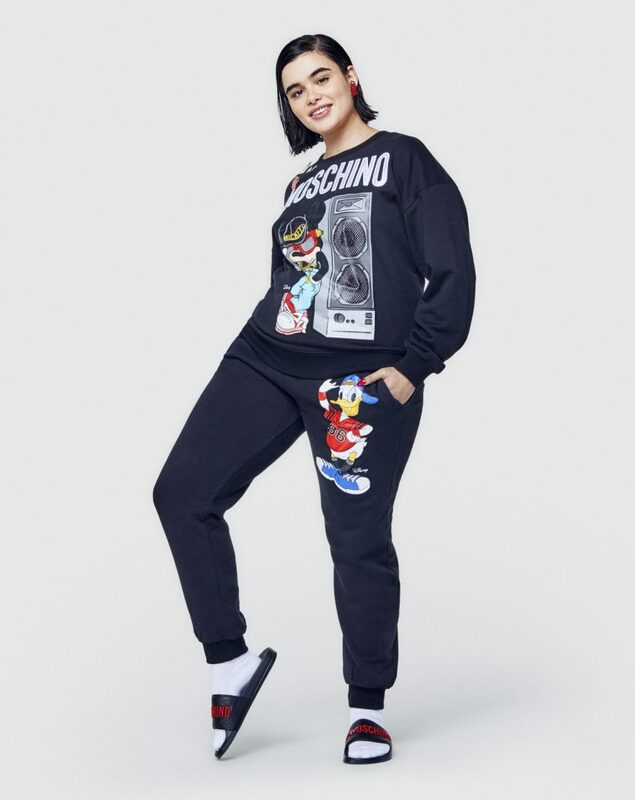 H&M Hints at Plus Size Options in New Moschino Collaboration! Say What Now? 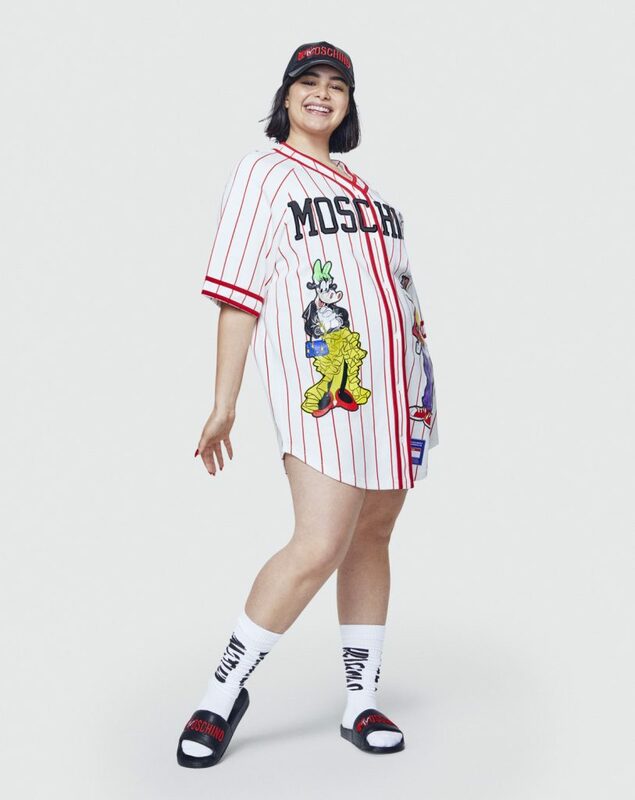 H&M Hints at Plus Size Options in New Moschino Collaboration! Sooooo, who is eady for another designer collab frenzy? While fashionistas set their alarms for November 8th to snag their favorite pieces from the Moschino x H&M collaboration, in years past, we plus folks have hit the snooze button. After all, why bother fending off a crowd at 6 am when we already know the cool lust worthy collabs never include us plus size women? How can we be sure if there has been no official announcement? Well, we can’t be 100% sure, but in the lookbook that was released, plus size it-girl and bopo advocate, Barbie Ferreira was featured numerous times in garments that fit her proportions. I’ve been around the sun enough times to be able to sniff out a soft launch when I see one. I hope I am right! Let’s talk about these looks, shall we?! In the collection’s official lookbook, Barbie was shot wearing 5 different outfits. The first one is a fuchsia sweater dress paired with a mustard faux-fur stole and quilted sleep mask. 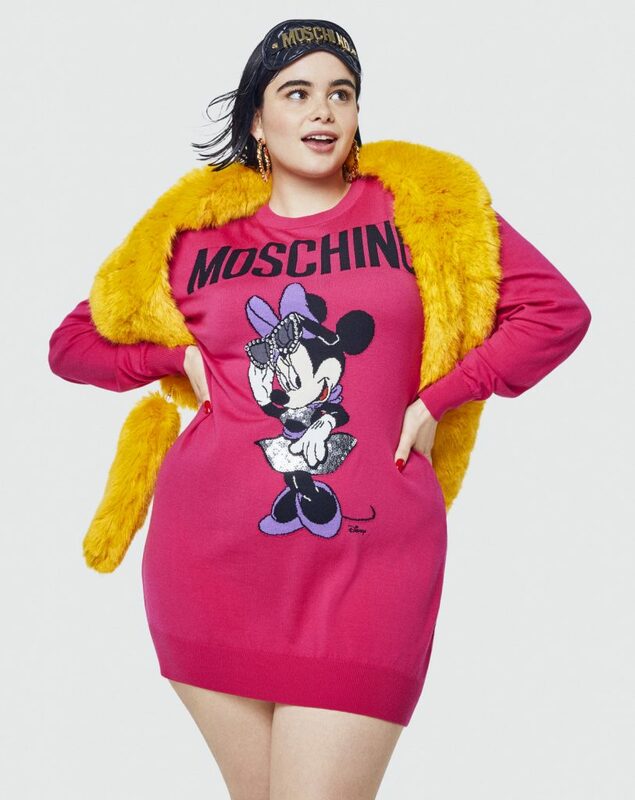 The sweater dress plays to Moschino (Creative Director) Jeremy Scott’s strengths by making it a punchy color with Minnie Mouse striking a pose on the front. The second look is Disney intensive as well, putting the lesser known character Clarabelle Cow on a baseball jersey and pairing it with shower slides and white socks. While not a going out ensemble, it looks perfectly wearable for around the house. For the third shot, Barbie is wearing a bedazzled bra under a black faux fur coat with golden condom wrapper logo earrings. The look is very early 90’s and speaks to the light-hearted heritage of the Italian brand. For her final look, Barbie is going back to Disneyana in a black dropped shoulder sweatshirt and sweatpants combo with an urban looking Donald Duck on the pants. Again, not exactly formal wear, but each piece looks comfy! “Like all my collections, it’s humor meets haute couture meets the street. That’s been a hallmark of my work for Moschino, and I want to continue to explore that with this collection. For fans of the brand, it should feel a little like a greatest hits collection, but I promise it will still be new, still feel fresh, even though we include some winks, some hints from the past,” Scott revealed about the collection after the collaboration was announced through a video call between Scott and supermodel Gigi Hadid. So could this be our chance to finally participate in the always sold out collaborations of Erdem, Kenzo and Balmain? Will Jeremy Scott’s Moschino collection with H&M FINALLY be the designer collab we can get our curves into? 11.08, Moschino x H&M launches in store and online at HM.com! Now do we think the full H&M collection will be available in plus sizes? Nope. Key items? We hope. And depending on the sizing of some of the men’s pieces, we may sashay over there, because there is a gold sequins parka that has our name allllll over it. At press time, H&M had not responded to my questions regarding the sizing of this collection, but once they do, you will be my first priority!